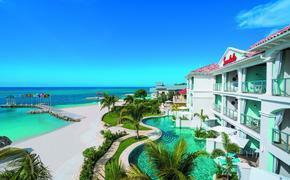 icon_vacationagent Red Carnation puts the focus on forging enduring, personal relationships with its agent partners. The Red Carnation Hotel Collection is a different kind of hospitality group—and that means a different kind of experience for agents and their clients. 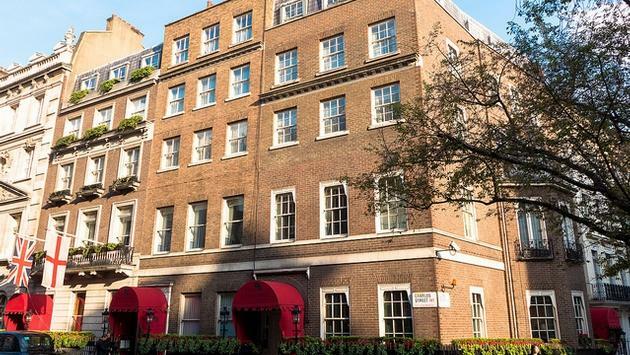 “First and foremost, we are a family owned business, and our core philosophy is to own and run our hotels with the very best service,” said Terry Holmes, executive director for the London-based company. The Red Carnation’s owners are, in fact, the Tollman family, who own The Travel Corporation and its many brands, including Uniworld Boutique River Cruise Collection, Trafalgar and Contiki. Beatrice Tollman, founder and president of Red Carnation, is responsible for food and décor. Her daughter Toni is a director and works with her on décor and other projects. Another daughter, Vicki, is also a director while brother, Brett Tollman, is CEO of The Travel Corporation. The family owns or has a long-term lease on every Red Carnation hotel—an unusual situation in an age of hotel management contracts and franchising. Its portfolio includes six properties in London, two in Dorset, England, two on the island of Guernsey, two in Ireland, three in South Africa, one in Geneva and another in Palm Beach, Florida. Among them are such high-profile properties as London’s 41 Hotel and Ireland’s Ashford Castle in Ireland. Holmes said one of his innovations is what he calls BDA—Before, During and After. One of the initiative’s goals is to keep agents informed during their client’s stay. To maintain contact with agents, Holmes said Red Carnation has a number of representatives on the road, such as Sarasota, Florida-based Frances Broussard, vice president of sales for the Americas. The company also has affiliations with the Virtuoso, Signature and Ensemble networks. Also, general managers regularly meet with travel agents to develop relationships. Holmes is a proponent of having agents acquaint themselves with whom he calls the “two most important people in any hotel”: the concierge and the head barman. Holmes added that Red Carnation also encourages agents to stay at the company’s properties: “Agents who stay with us are not getting information from a book but from getting to know us and our managers, who are killing them with kindness." While some hotels carry a five-star rating and others a four-star rating, all properties are completely different from one another and operate under their own names. The Tollmans’ approach to hospitality begins with hotel staff training and looking after its employees. “There is an old saying in London—‘the best pub in town is where you’re best known,’” Holmes said. “We have tremendous longevity with our staff, and that results in a very high repeat clientele who come back in many cases to see those staff members as much as for anything else. Looking ahead, Holmes said Red Carnation will continue to grow where there is opportunity, including North America—but it will not be growth at any price.